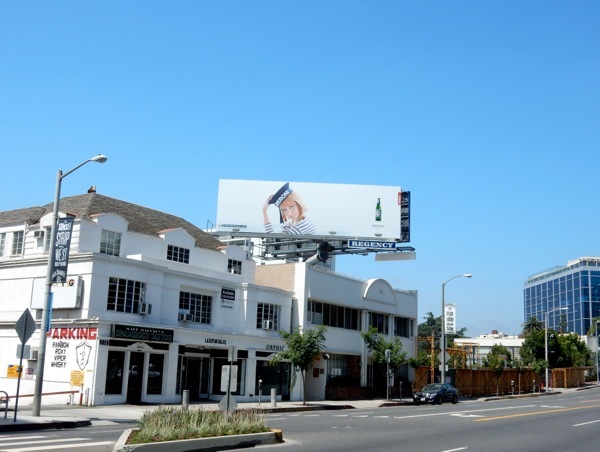 Italy's Peroni Nastro Azzurro premium lager brand originally launched with iconic 1960's blonde 'Sailor Girl' ads and last year the U.K. advertising agency, The Bank, refreshed the campaign for a new generation of beer drinkers. 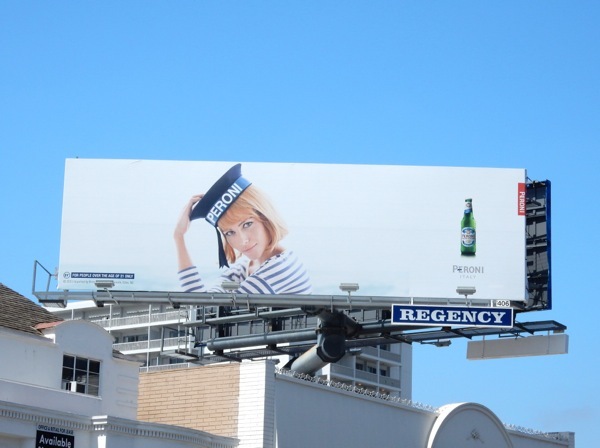 Created in 1963, 'Nastro Azzurro' is Italian for Blue Ribbon and the name was chosen to honour the SS Rex Italian ocean liner, the winner of the Blue Riband in 1933. 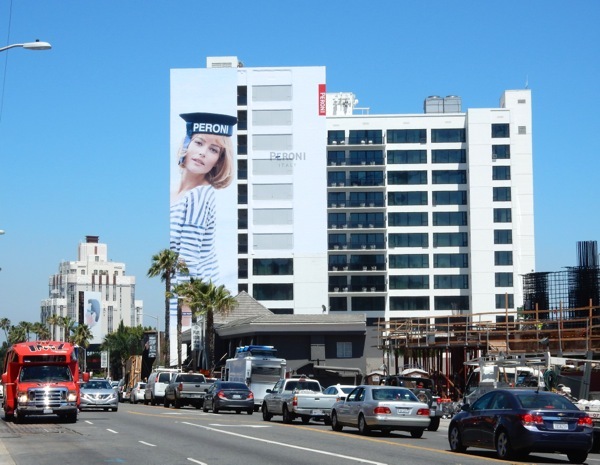 Now the Sunset Strip is getting to enjoy the classic nautical style of stripes and sailor hat, plus the modern beauty of international supermodel Natalia Borges, with this super-sized ad creative snapped on the side of the Mondrian Hotel on June 19, 2015. 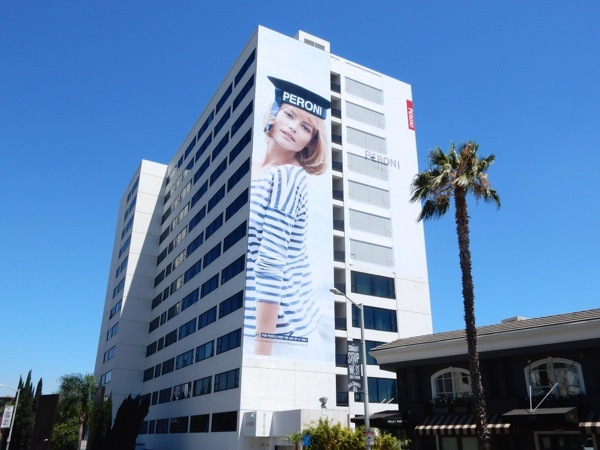 Plus further west along the Strip this smaller landscape Peroni creative (with the all-important bottle product shot) was spotted on June 15, 2015, which first appeared along Sunset Boulevard last June when the new campaign was launched. 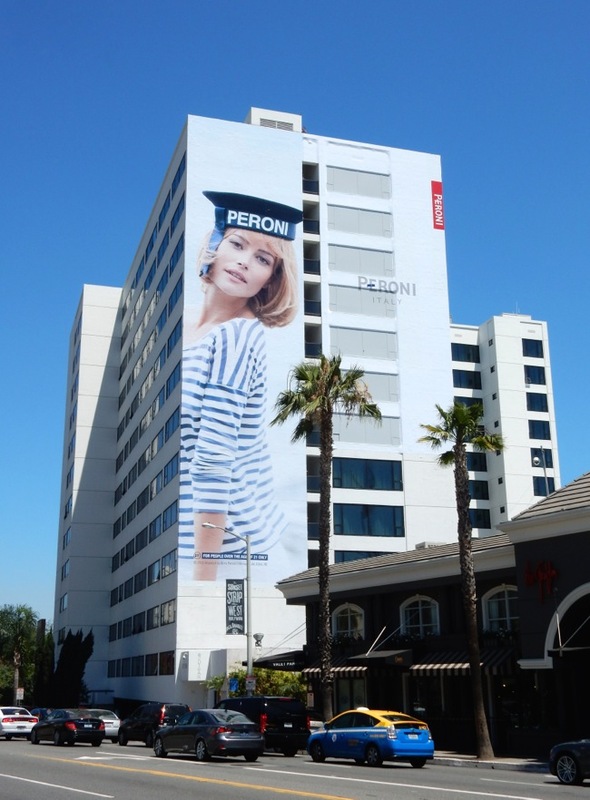 If you like these striking ads bringing Italian style to L.A. (and the world of beer), be sure to also check out Peroni's previous billboard from 2010. 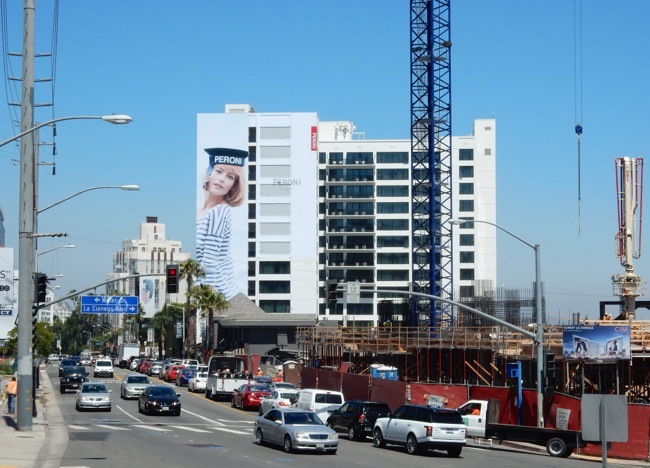 Plus to see how different brewery brands market their products, be sure to also check out these other beer outdoor advertising campaigns from recent times. Here's to fun times on the high seas wherever you may be this weekend.